When I was putting together my senior show at Union University, as required by all art majors, I searched for artists that once shared my aesthetic and realized not only did I enjoy the work of Henri Matisse, we had similar tastes (Henri, Henry...coincidence?). I created my own versions of his gouaches decoupes (painting with scissors as he called it) with papers of varying patterns but similar colors. Six of these hung in the student gallery at Union for my allotted week and I still have a few that adorn my own gallery wall in my apartment. 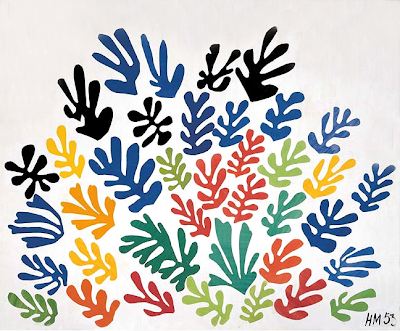 Not only my adoration for paper was shared with Matisse though. We both have the affinity for fabrics, especially ones from far away places like Morocco. While I don't have fabric from there, I have a pair of little red shoes (a tradition I started when I traveled in college, to collect red shoes. Although the "red" part stopped in China when I got a black pair. I digress) that I got at a tannery and love the pattern on them. 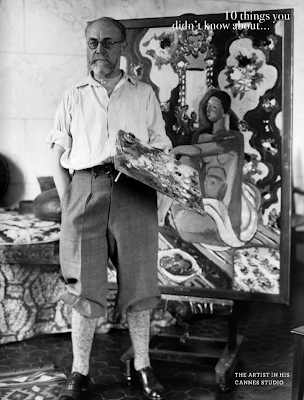 I think Matisse would too. His works sport bright colors and vibrant movement that I respond to very well. 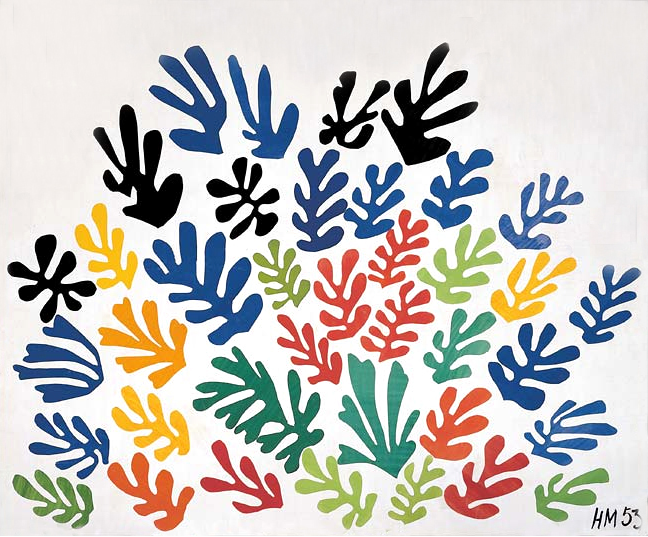 I don't think I will ever tire of Matisse. 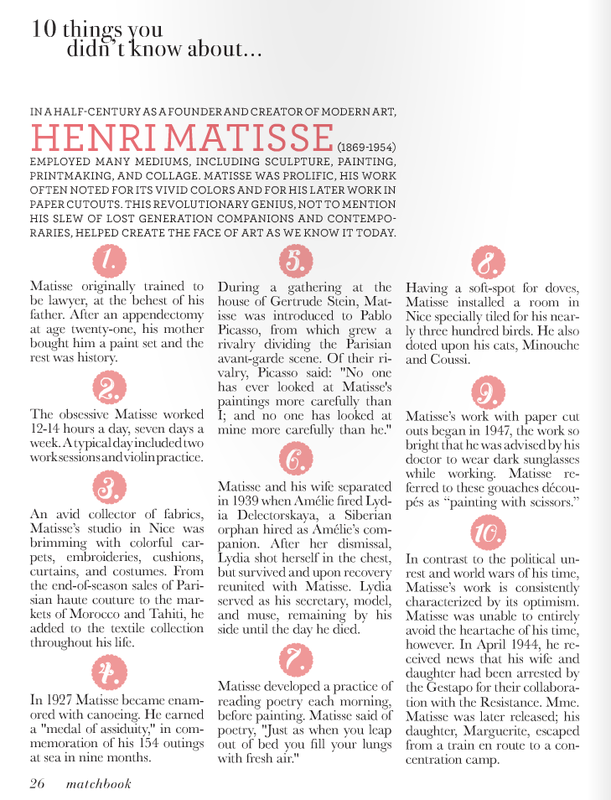 Issue 5 of Matchbook Mag is out today and they highlighted ten things to know about Henri Matisse that rekindled my love for the artist's work. He made Harry Potter glasses cool before Harry Potter did. 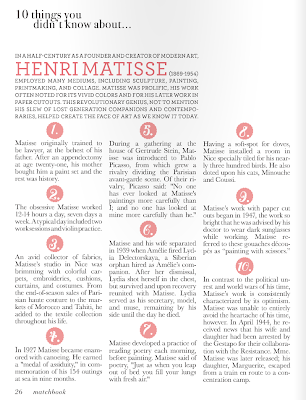 So is Harry Potter wearing Henri Matisse glasses then?